In Part II of this unit, we will tackle a variety of themes while introducing students to the history of Ancient China. We will begin by examining the best way for leaders to create order and help prevent chaos in their countries. We will explore three philosophies and their contribution to Chinese culture: Confucianism, Legalism, and Daoism. We will read primary documents written by Confucius' followers, Laozi, and Han Fei. Additionally, students will explore how bias impacts the study of history as they debate which dynasty was more significant, the Qin or the Han. Finally, students will explore the role that trade plays in the development of a civilization by learning about the Silk Road. How can trade benefit different societies? How do cultures determine right from wrong? What things can a government do to help its country? History can be written from different points of view. Confucius, Laozi and other philosophers taught ways to deal with political and social problems in Ancient China. The Qin dynasty unified China with a strong government and a system of standardization. 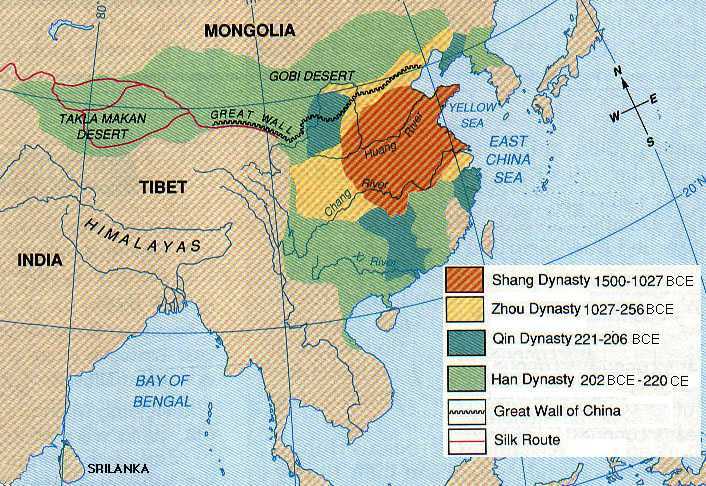 The Han dynasty created a new form of government that valued family, art, and learning. Trade routes like the Silk Road led to the exchange of new products and ideas among China, Rome and other peoples.